Irish bank shares took another hit on capital concerns, but "Bad News" and "Banks" have run hand-in-hand for the past couple of years. Today's news simply pushed AIB back inside its base, and BOI closer to the low end of its base, leaving it to bulls and bears to duke it out once more for control. For both Bank of Ireland and AIB, the critical defense area is €1.00 which has been vigorously defended twice in the past 4 months and looks destined for a third test in 6 months. If bulls can't convince the market the banks are worth one euro a share then it could be Sayanora for shareholders. Bank of Ireland looks to be the more troubled of the two based on demand for its shares and looks likely to test €1 support first. 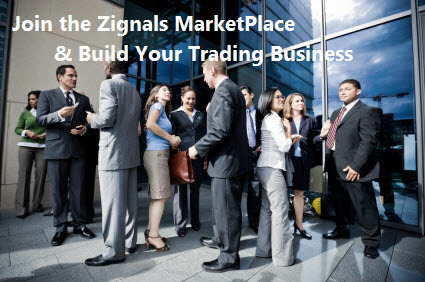 The best way to trade Irish shares is to use a Zignals Trading Strategy. There are currently two Irish strategies available: "Irish Oak" is a short strategy which has returned 41% since inception (new signal for DCC today); the second, "Irish Elm", is a long strategy which has returned 11% since inception. Better still, why not create your own Irish Trading System. Long Unacted Entry for HPCL (Mumbai) at INR312.3 (EoD): Entry signal given, but exited position on same stock too recently (15) days ago. Long Unacted Entry for TELCO (Mumbai) at INR729.5 (EoD): Entry signal given, but exited position on same stock too recently (14) days ago. Long Unacted Entry for BBAY (London) at 367p (EoD): Entry signal given, but exited position on same stock too recently (12) days ago.